When it comes to how much truck-related accidents cost businesses, it’s important to remember that a single accident can cost a lot for a company. They affect important business resources and workforce that works for the company. Keeping your trucking business safe from accidents is integral to the success of your company. Truck-related accidents can cripple your business operations, lost revenues, and possible third-party liability claims. This why trucking business must invest safety measures and proper truck fleet maintenance to help prevent accidents. Take a look at the following strategies to keep your trucking business safe from accidents. 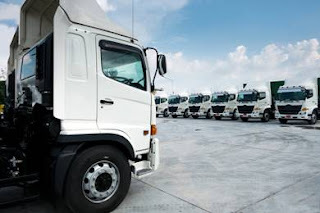 Establishment of truck safety policies and protocols, which includes a proper truck driving training program, regular truck fleet maintenance schedule, systems to create and analyze records, and strict enforcement of preventive practices such as checking the pressure of tires, wearing a seatbelt, etc. Proper supervision of truck drivers. This will include the driver examination to ensure that only approved personnel are allowed to operate the trucks. This can also help ensure that any trucks that are not fit for the road will not be allowed to go out until necessary repairs are made. Establish a proper process of selecting drivers. Hiring the appropriate drivers for your trucking business is the most essential component of a truck fleet safety program. There should be an extensive driver selection process with proper driver age and experience requirements as well as an elaborate examination of each driver’s license. Having a standardized truck fleet safety program can help ensure that all your trucks are in good condition and keep them from accidents. The latest in technology can also do a lot in keeping your trucks safe and reduce the risk of accidents on the road. Truck business owners have plenty of technology options to choose from, and among them is telematics technology. It’s amazing how telematics technology can help drivers observe good driving behaviors and reduce the risk of accidents on the roads. The status of your trucks is obviously one of the most important factors to consider when keeping your trucking business safe from accidents. 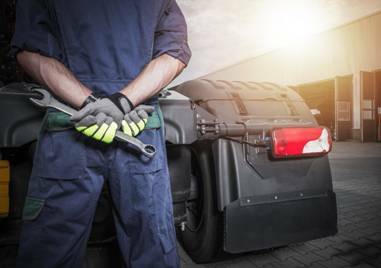 Establishing a couple of procedures for truck fleet maintenance can help decrease the odds of accidents on the road. Proper maintenance will include adequate changes in tires, making sure that the lighting systems are functional, regular windshield cleaning to ensure 100% visibility, checking tire pressure, etc. Hiring a professional vehicle mechanic is also a good thing to make sure that all your trucks are in optimal working condition. Keeping your trucking business safe from accidents can save you a lot of money. Invest in a truck fleet safety program so your trucking business will be safe from accidents. This will also help you improve your overall business operations, better performance, more revenue, and reduced operating costs. Lastly, you’ll enjoy the peace of mind knowing that all your drivers and trucks are safe from accidents. For more tips and information on how to keep your trucking business safe from accidents, you may click here. Vicki’s fascination with the law has become her motivation to be a law writer. 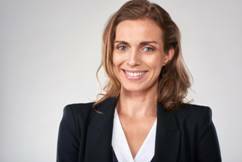 She enjoys imparting what she learned through research to those who want to be more acquainted with how the legal field works, and she’s able to do this as a writer for Abels and Annes P.C .